Electric bicycles from Ingconsult | News | Ingconsult Ltd. 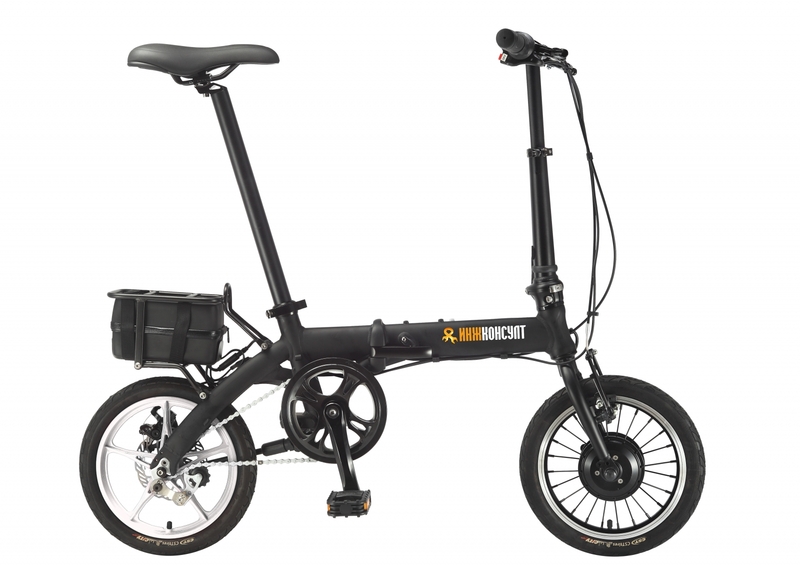 The electric bicycle Compact has easy-step-frame and lithium-ion battery, which is mounted on a rack over the rear wheel. The battery of the bicycle is the latest generation Li-ion battery with a long service life, which can be full charged for 4-6 hours using regular contact. You get the battery charger together with the bicycle. The bicycle is very compact and easy to transport thanks to its folding mechanism. In folded position, you can easily transport it to your favorite park or take it with you on a trip. Particularly suitable for movement in urban environments. You can move without tiring in electricity mode or you can make your daily workout in regular bicycle mode. The bicycle can be operated in hybrid mode, in which the pedaling and the motor automatically turn on and help you.